Michael J. Vasko is a Certified Gibson Acoustic Guitar Specialist from the Gibson University in Montana; he has 40 years’ experience in all aspects of music and entertainment. 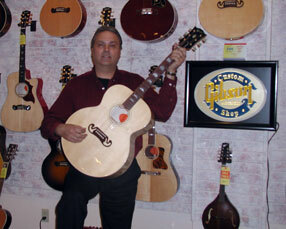 For 25+ years Mike has managed and played guitar in the seven-piece variety band Pizzazz in the Lehigh Valley. Pizzazz has performed for many events such as Mario Andretti’s Driver of the Century Party at Nazareth Raceway, Heavyweight Champion Larry Holmes Club, just to name a few. Mike has shared the stage with Gary US Bonds, Bill Haley’s Comets and Beatle mania and many other artists. Mike served as Stage Manager for America’s Largest Music Festival “Musikfest” & has hosted many artists such as Country Star Gary Allen. He also served on the Musikfest Staging Committee. Mike’s talents include playing rhythm, lead and bass guitar, keyboards and possess outstanding vocal abilities. Elaine Vasko has served on the committee of Musikfest’s Marketing and Staging Committee and also worked assisting on the Stages of Muskifest, and worked the Press Center assisting Performers and the Media. 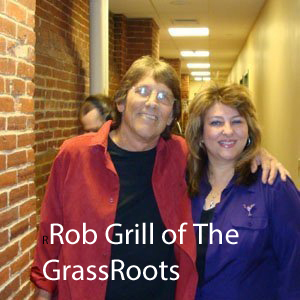 She served as a board member of singer Johnny Rivers International Fan Club and has been involved in raising money for Children’s Charities, including Camelot House, which she was on the Board of Directors, and the children of the state in Boston, Toys for Tots and Fox Chase Cancer Center. She is an active Blue Star Mother. A Journalist major, Elaine has interviewed many artists including singer Johnny Rivers, Jeff Cook of the band Alabama, Former Rolling Stone Magazine Editor Ben-Fong Torres, singer Brenda Lee and other artists, as well as being named a segment producer for an upcoming Elvis Presley Documentary “A Tribute to The King” with documentary Filmmaker Ken Vrana. Mike and Elaine Vasko are dedicated to providing superior, professional and personalized service. Mike Vasko Productions, Inc.’s mission is to provide the highest quality standards in entertainment and musical services. A commitment to excellence is our motto. Our vision is to serve the community with a variety of enjoyable, musical entertainment experiences. We will maintain the highest standard of integrity, and professionalism as part of every endeavor we undertake while providing personalized, exceptional and courteous service. Mike Vasko Productions believes anyone has potential to be a – Most Valuable Player.